Assorted Fruit & Ginseng flavoured candies. One of our more popular candies and a huge hit with our candy crowd. 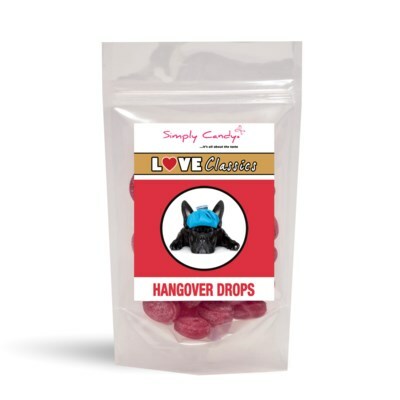 Why are our Hangover Drops so celebrated? Well, not only do they taste great....but you also don’t need a hangover to enjoy them!! INGREDIENTS: Sugar, Glucose Syrup, Acidulant: Citric Acid, Panax Ginseng, Natural Flavourings: Bramble, Lemon, Orange, Raspberry, Rosehip, Colouring Plant Concentrate: Red Beet Juice.